Despite the less than subtle messages in the Lego movies, sometimes it’s totally okay to follow your highly-sophisticated interlocking brick system’s building instructions. 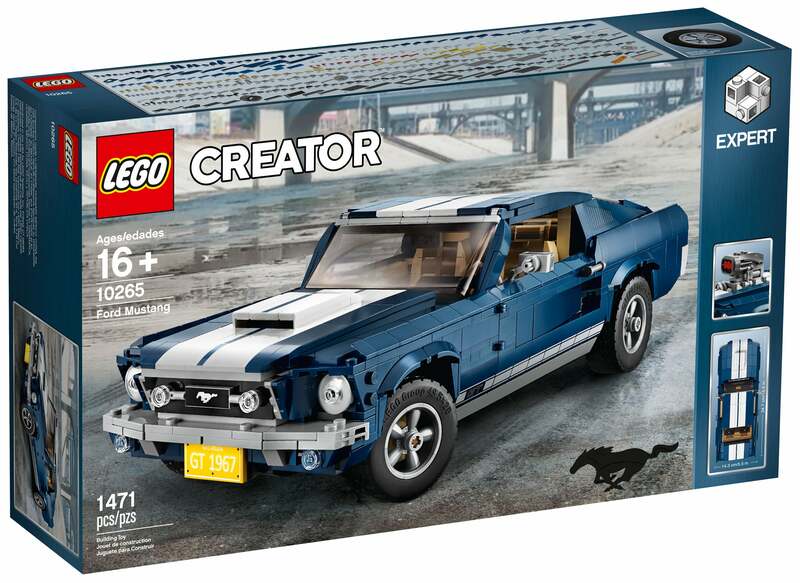 Case in point: Lego’s new Creator Expert series 1960s-era Ford Mustang model which does a remarkably good job at recreating the curves of a now-iconic muscle car. Lego seems hesitant to nail down an exact model year its 1,471-piece replica is based on (although the license plate says 1967) but there’s little doubt the company’s model makers took at least some inspiration from the iconic 1968 Ford Mustang Fastback that Steve McQueen drove through San Francisco in Bullitt. 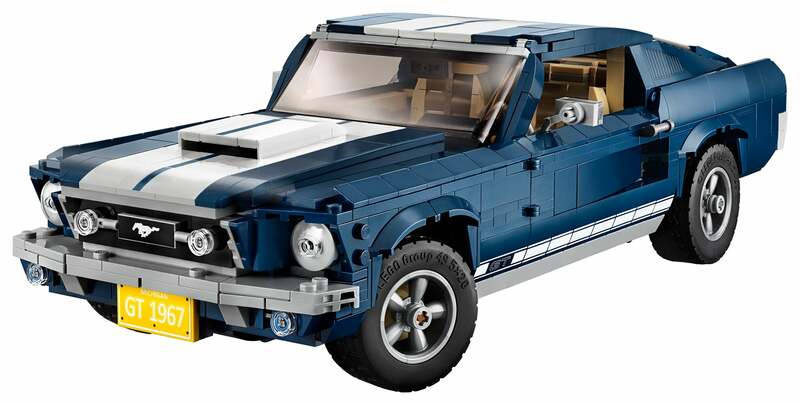 Lego’s chosen a blue paint paint job for its Mustang instead of green, finished with a pair of white racing stripes, but builders can further customise their tiny ride to match their muscle car tastes. The model’s standard build includes an air scoop, five-spoke rims, a detailed replica of the Mustang’s V8 engine under the bonnet, and a removable roof panel that reveals a fully furnished interior with seats, a radio, a gear shift, and a working steering wheel. If that’s not aggressive enough for your tastes, the rear axle can be lifted, while a supercharger, front and back spoilers, exhaust pipes, and a nitrous tank can all be added to prep your ride for illegal street races. Available starting on March 1 for £120, Lego’s Creator Expert series models have become a great alternative for collectors who don’t necessarily want to spend hours on a traditional model kit that requires lots of intricate glue and paint work.